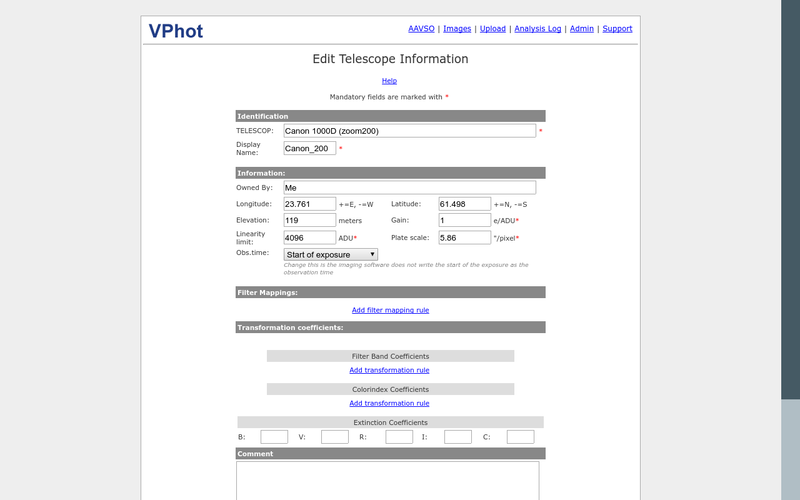 I upload stacked, calibrated DSLR images (G channel) to VPhot which were plate solved by offline astrometry.net and converted to FITS file. The missing FITS header values are added (DATE-OBS and EXPTIME). 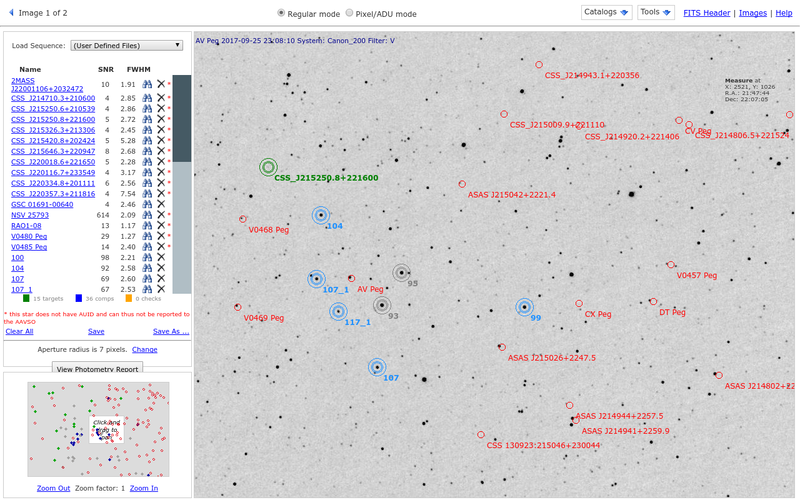 If you check the uploaded VPhot screenshots, the variable star detection tries to find the stars a bit right-down instead of their position and the detection fails (see DT Peg, AV Peg, V0486 Peg etc. in vphot1.png). The FITS file is also attached. Any idea what goes wrong? Is it a problem if DATE-OBS is in my local time zone (UTC+2)?